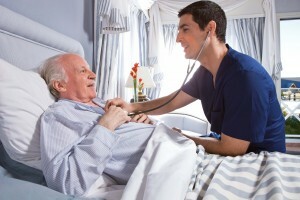 Due to the nature of the work, employment as a hospital worker can be a rewarding experience. However, hospitals expose workers to a variety of risks, including the risk of injury. Fortunately, hospital workers in Illinois who experience workplace accidents are entitled to workers’ compensation. A statistical comparison among industries shows that hospitals are one of the most hazardous places to work. According to the Occupational Safety and Health Administration, hospitals in the United States reported at the latest reporting date 58,860 work-related injuries and illnesses that caused employees to miss work. In other terms, U.S. hospitals reported 6.8 hospital workers injured for every 100 full-time workers during the year. This rate of injury is nearly twice the rate for private industry in aggregate. In context, by this measure it is more hazardous to be a hospital worker than it is to be a construction or manufacturing worker. The BLS data reveal a wide variety of causes of injury, ranging from repetitive motion injuries (in the case of overexertion) to hazardous material (in the case of exposure to substances). The specific types of injuries that result from the set of identified causes is concentrated in sprains and strains, but is otherwise diversified among a variety of other types. Specifically, sprains and strains account for 54 percent, followed by bruises (11 percent), soreness/pain (10 percent) and fractures (5 percent). In the view of the OSHA, injury risks in hospitals may be on the rise, due to multiple factors. The first of such factors is an aging workforce. Hospital workers are getting older, which increases vulnerability to both infections and musculoskeletal problems. The second factor is rising obesity, which is problematic for lifting, repositioning and transferring patients with limited mobility. Fortunately, the injuries hospital workers in Illinois sustain are eligible for workers’ compensation benefits under the Illinois Workers’ Compensation and Occupational Diseases Act. So long as a causal relationship between the workplace and the injury can be established, benefits are available to help injured workers cover lost wages and medical costs. In order to ensure that fair compensation is awarded, potential claimants may wish to consult with an experienced attorney.